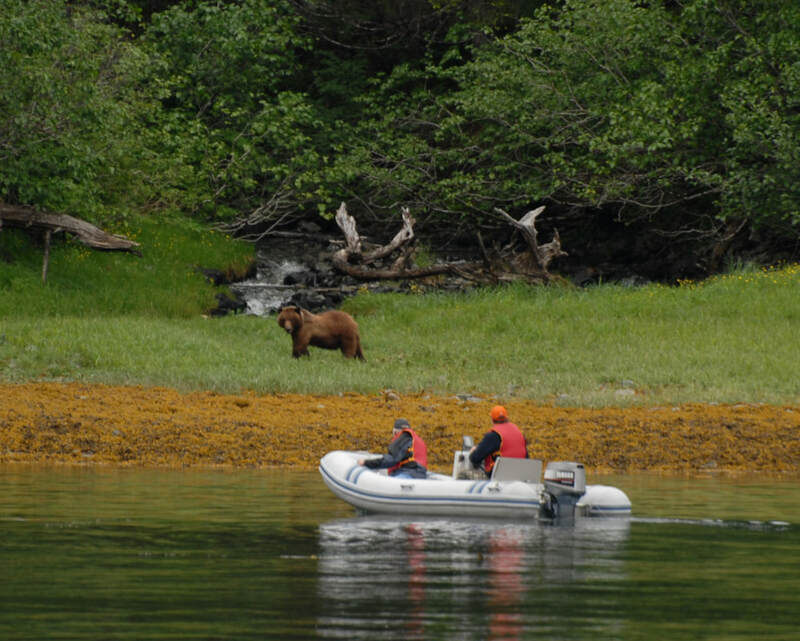 Northern Explorer Adventures specializes in intimate Prince William Sound cruises for small groups of up to six guests. 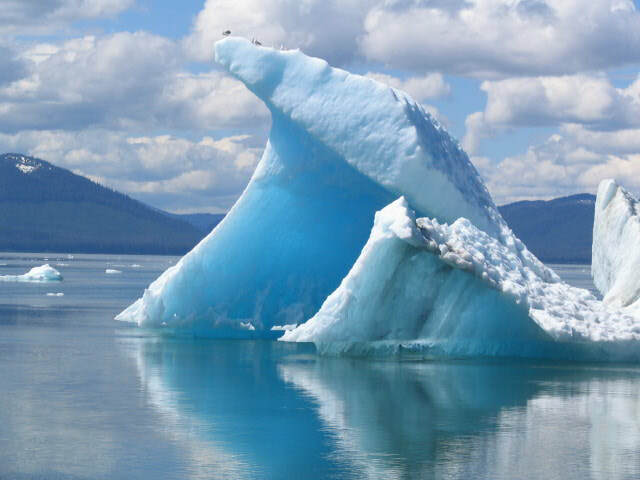 We offer individualized itineraries for 4-day/3-night and 5-day/4-night cruises as we traverse southcentral Alaska’s spectacular Prince William Sound. Full boat charters and customized trips of one to seven days are also available upon request. Please contact us to discuss your plans. Weather, wildlife sighting opportunities and our guests’ preferences can all affect our daily route. However, the following 4-day, 3-night itinerary provides a good snapshot of your Prince William Sound cruise. You’ll first step aboard the Northern Explorer from the dock in Whittier. Meet your personable captain and crew, and get settled into your private stateroom. Then take a few minutes to explore the beautiful cruising yacht that will be your home for the next several days. As we leave the harbor, the crew will ask for your full attention as they explain the safety features of the ship, including our eight-man life raft, personal floatation jackets, 16-foot inflatable shore boat, and fire extinguishers. We’ll then be underway for Blackstone Bay. 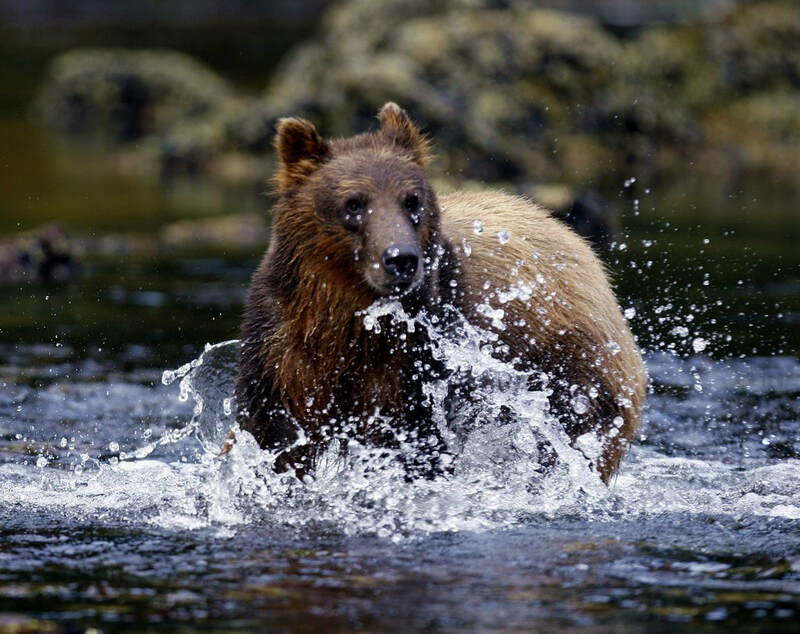 Be sure to watch for whales, porpoise, sea otters, puffins, bald eagles and black bears that frequent this area. Glacier viewing at Northland, Blackstone and Lawrence Glaciers. Our leisurely afternoon in Blackstone Bay includes a delicious gourmet lunch. We’ll depart afterwards and make our way to a beautiful Secret Cove, where you can again choose how to spend your time. Kayak along the secluded beach and watch for wildlife. Visit a prime berry-picking area to sample fresh, wild Alaska berries. Back on board, enjoy freshly prepared hors d’oeuvres in the main salon, followed by dinner. After-dinner options include watching a movie, playing a board game, or a serene kayak on the calm waters of Secret Cove. We are here for the night. There is nothing like starting your day with a kayak through Secret Cove as the fog lifts toward the morning sun. We’ll have breakfast here, and depart around 10 a.m. to make our way through Culross Passage – offering some of the most breathtaking scenery in Prince William Sound. Kayaking in one of several beautiful coves. Sit in the glassed-in viewing deck or next to the fire pit on the top deck to watch the stellar sea lions hauled out on the rock outcroppings. Take a short hike from the beach to the old “Fox Farm” ruins. Visit a private fish hatchery. We’ll end our day with fine dining and a good night’s sleep, anchored in the bay off of Perry Island. We’ll be up early for breakfast, and then underway for Lake Bay on Perry Island. First, we’ll go ashore for a guided tour of the Wally Noerenburg fish hatchery. 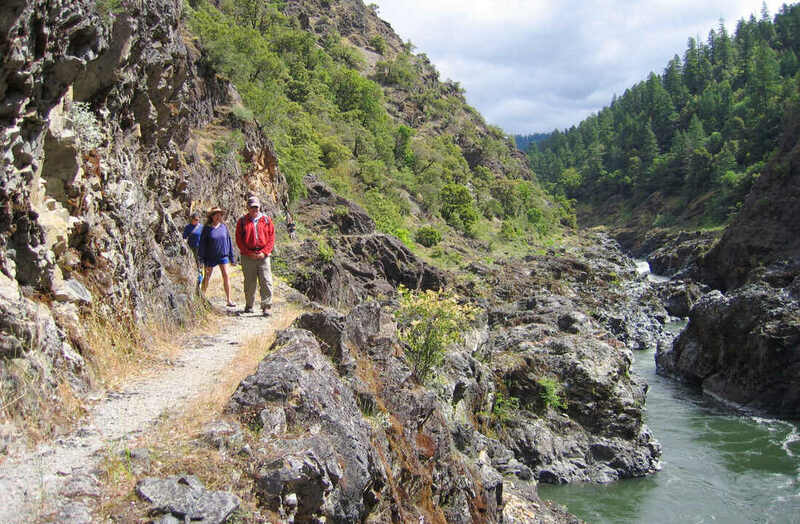 Afterwards, we’ll return to the boat for a relaxing lunch or take a sack lunch to eat at Ester Falls – just a short hike away. We’ll serve our farewell dinner at Lake Bay and anchor here for the night. Enjoy a hearty breakfast because we have a lot planned for today! We’ll pull anchor early and head for Ester Passage, a very narrow pass leading to our next stop: Waterfall Cove. There, refuel with a filling lunch, then pull on your boots for some beachcombing and clam digging on the sandy beach. If you’re up for a short hike, grab your camera and we will head to the old pioneer settlement to reflect on times long past. Late afternoon, we will journey back to the dock in Whittier, where we will unload and say our goodbyes. If you have chosen our 5-day, 4-night cruise, your journey doesn’t end here. On day four, instead of heading back to the dock in Whittier, we will journey from Waterfall Cove through Harriman Fjord, where we’ll have our farewell dinner against a spectacular backdrop of glaciers. After dinner, it’s off to Hobo Bay, where we drop anchor for the night. On day five, it’s rise and shine in Hobo Bay, one of our favorite stopping points! After breakfast, choose either to kayak along the beach (keeping an eye out for bears along the beach or sea otters rolling in the bay) or hike to the historic old mine settlement a short distance away. After lunch, we’ll make the two- to three-hour journey through Port Wells back to the dock in Whittier. Take advantage of this time to watch for whales along the way, especially at the entrance to the bay. Once docked, it will be time to unload and say our goodbyes. During your Prince William Sound cruise, we provide all the outdoor gear you need for excursions, including very stable and comfortable sea kayaks, rubber boots for nature hikes and beachcombing, rain gear for the occasional drizzly day, fishing poles and equipment, gold pans for trying your luck in the streams, and binoculars for wildlife viewing. We also have a very stable, 16-foot inflatable boat with 30hp outboard for fishing and shore excursions.